LOOKING FOR A FANTASTIC PLACE ON CROSS LAKE? THIS IS FOR YOU! PICTURESQUE 1 ACRE W/20' OF DEEDED WATERFRONT ACCESS! 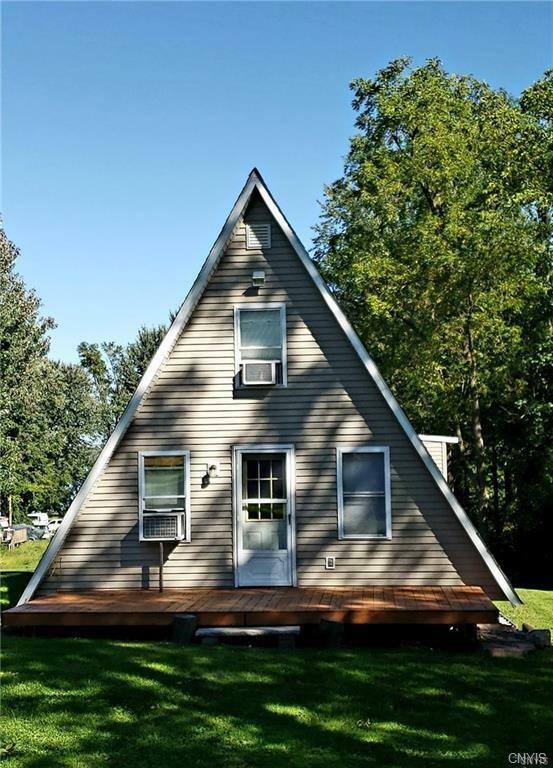 A-FRAME, ~1100SF, 2 BEDROOMS, FULL BATH, EAT-IN KITCHEN AND SUN-FILLED ENCLOSED PORCH. ALL APPLIANCES AND MOST FURNISHINGS STAY! (INC 2 CONVERTIBLE COUCHES FOR ADDT'L SLEEPING SPACE!). LARGE COMPOSITE DECK TO ENJOY THE INCREDIBLE SUNSETS! HUGE 2006 BUILT POLE BARN HAS PLENTY OF STORAGE FOR ALL YOUR LAND & WATER TOYS! PLUS A BASKETBALL COURT, LOFT W/MOVIE THEATRE, BAR AND MORE! BRAND NEW DRIVEWAY W/GEOTEXTILE FABRIC, STONE AND DRAINAGE MEANS YOU'RE ALWAYS DRY! DOCK AND MECHANICAL BOAT HOIST ARE INCLUDED AS WELL AS THE 1,000 GALLON WATER HOLDING TANK - SUPPLY JUST 2 MILES AWAY. PROPANE/WOOD-BURNING STOVE HOOKUPS IN PLACE. MANY ITEMS NEGOTIABLE, TOO MUCH TO LIST! JUST COME SEE!